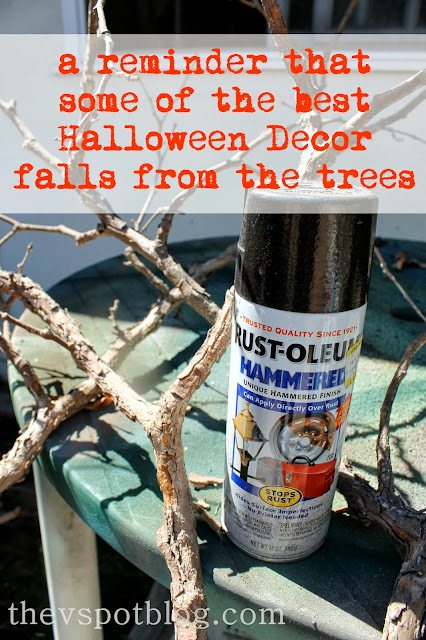 One of the things that I think is so great about Halloween is that you can pretty much take any object, paint it black, and you have Insta-Decor. You know I super-duper love sticks and branches, especially around Halloween. 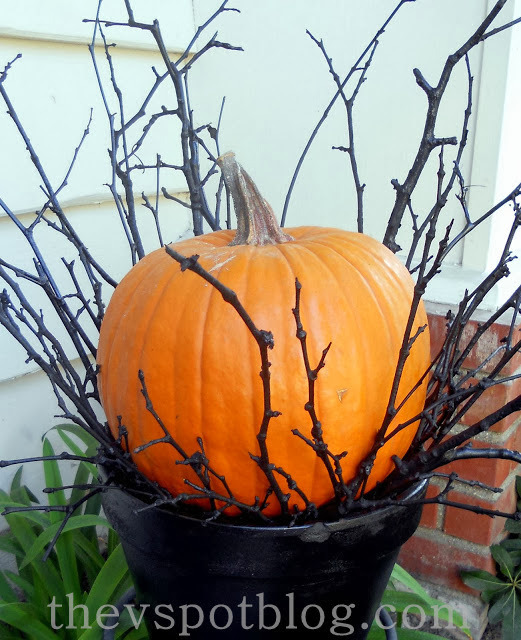 I love them on my mantel, and this pumpkin and stick combo from a few years ago is still one of my favorite looks. You can see all of my posts about sticks HERE. You know what else we all seem to have a lot of? Empty jars and bottles. Black paint does them wonders at Halloween-time too! Get the “how-to” for these cute potion jars from The Shed. You should also check out the cute Black & White Tablescape and floral arrangements that One Charming Party did with black paint and empty tin cans. 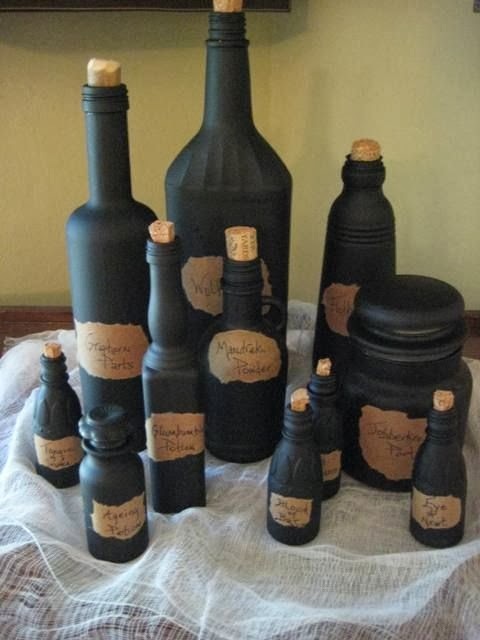 I love the black matte finish on these random sized bottles and jars. The paint, along with the craft paper labels unifies them and makes them a great DIY addition to your Halloween decor. Check out the full tutorial on Instructables. I’m so excited that October is here! 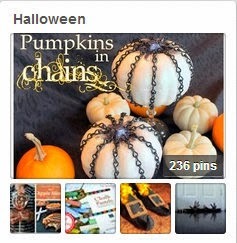 You can check out my Halloween Board HERE.